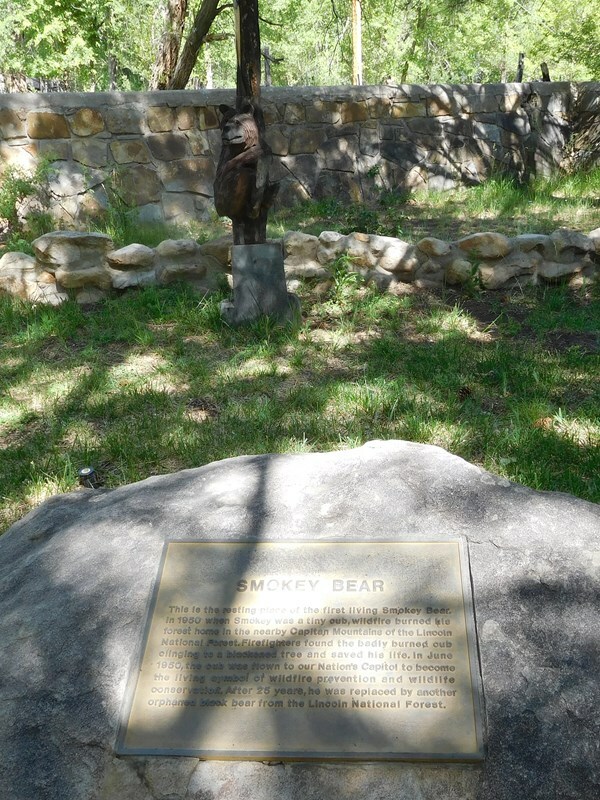 This is the final resting place of the original living Smokey Bear. Found clinging to a burnt tree in 1950, the small cub was rescued and nursed back to health. He lived for the next 25 years in the National Zoo in Washington, DC and upon his death, was transported back to the Smokey Bear National Historical Park in Capitan, NM where he was found. God Speed Smokey. Took a trip that included three National Parks/Monuments, three state parks, and two museums over Memorial Day weekend 2017. Made it to Smokey Bear park on our way home to Albuquerque, 5/30/2017.